Pennsylvania Small Business Insurance. If you own a PA small business, this article will help you understand some the of most common policies available. Commercial insurance helps protect your business and potentially your personal assets from lawsuits and settlements that can reach into the millions. Having high enough limits in your commercial liability coverage should be a cornerstone of any business plan in the Golden State. Carrying adequate Pennsylvania small business insurance to protect your business shouldn't be a question - it's a must if you want to make sure that you don't get put in a position where you have to lose your business or pay money out of pocket to cover expenses associated with a loss. Learn about Pennsylvania small business insurance requirements, costs and coverages including: Commercial General Liability, Commercial Property Insurance, PA Workers Compensation, Business Owner's Policy (BOP), Errors & Omissions (professional liability), PA Commercial Auto Insurance and more. 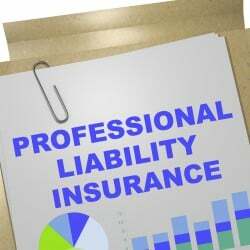 Is Business Insurance Required In Pennsylvania? Workers Compensation: Every small businesses with any non-owner employees are required by PA state law to have workers comp insurance coverage. Business Auto: If the business owns any vehicles (titled to the business) or uses them for business purposes, those cars or trucks must have commercial auto insurance. Philadelphia, PA and other jurisdictions in the state have a reputation for awarding large liability judgments against businesses, and tend to be very plaintiff friendly. How Much Does Small Business Insurance Cost In Pennsylvania? Deductibles - Like medical insurance, lower deductibles for Pennsylvania small business insurance mean higher premiums. If you raise your deductibles (out-of-pocket costs), your premium will usually decrease. The person injured in an auto accident may be a young child, a wage earner, a surgeon, or a homeless person. 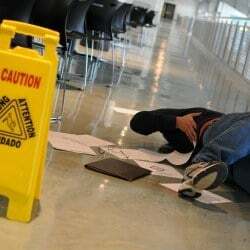 The costs of the accident may be relatively small or run into the millions of dollars, depending on the victim and his or her injuries. Pennsylvania commercial auto insurance helps protect your business if you hurt a person or damage their property. 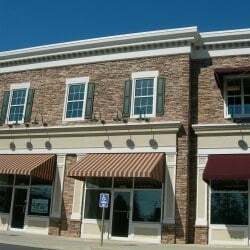 Pennsylvania small business insurance offers coverage for business property and casualty exposures. Wouldn't it be great if you could get most or all of them in just one policy? If you qualify, the Business Owners Policy (BOP) may be exactly what you're looking for. This single package covers your buildings and business personal property, as well as liability imposed on you because of your premises, operations and products. In addition, it has numerous coverage extensions and optional coverages available. You don't have any control over the ultimate cost of injuries to a person injured because of your operations, products, or services. The person injured may be a toddler, a contractor, an accountant, or a homemaker. The cost of the injuries may be comparatively minor or run into the millions of dollars, depending on the person and the extent of his or her injuries. This is why you need the right amount of Pennsylvania small business insurance. The primary goal of any Pennsylvania small business insurance program is to protect the insured's real and business personal property. Tangible property usually represents a significant portion of its total assets, regardless of the size of the business. This Pennsylvania small business insurance coverage also applies to your computer equipment, communications equipment, and equipment that generates, transmits, or uses energy. Most theft losses are comparatively small, fall under the deductible, are excluded, or are uninsured. However, larger ones can put a company out of business as quickly as an uninsured fire. Pennsylvania small business insurance - specifically business personal property coverage forms and policies written on an All Risks or Special Causes of Loss basis usually cover theft of property and merchandise by outside parties. However, they usually exclude losses due to employee dishonesty, theft of money and securities, computer fraud, safe burglary, extortion, and related criminal acts. This is why every PA business needs a sound program of crime coverages for employee theft and other types of criminal and fraudulent activities. The vision of the Pennsylvania Insurance Department is, "To provide a healthy regulatory environment that promotes a vibrant insurance marketplace to serve all consumers." 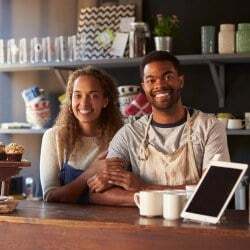 Request a free Pennsylvania Small Business Insurance quote in Aliquippa, Allentown, Altoona, Ambridge, Baldwin, Beaver Falls, Bellevue, Berwick, Bethel Park, Bethlehem, Bloomsburg town, Bradford, Brentwood, Bristol, Brookhaven, Butler, Camp Hill, Canonsburg, Carbondale, Carlisle, Carnegie, Castle Shannon, Chambersburg, Chester, Coatesville, Collingdale, Columbia, Connellsville, Conshohocken, Darby, Dormont, Downingtown, Doylestown, DuBois, Dunmore, East Stroudsburg, Easton, Economy, Elizabethtown, Ellwood, Emmaus, Ephrata, Erie, Franklin Park, Gettysburg, Glenolden, Greensburg, Grove, Hanover, Harrisburg, Hatboro, Hazleton, Hermitage, Huntingdon, Indiana, Jeannette, Jefferson Hills, Johnstown, Kingston, Lancaster, Lansdale, Lansdowne, Latrobe, Lebanon, Lewistown, Lititz, Lock Haven, Lower Burrell, McKeesport, Meadville, Mechanicsburg, Middletown, Millersville, Milton, Monessen, Monroeville, Morrisville, Mount Joy, Munhall, Murrysville, Nanticoke, New Castle, New Cumberland, New Kensington, Norristown, Northampton, Oil, Old Forge, Palmyra, Perkasie, Philadelphia, Phoenixville, Pittsburgh, Pittston, Pleasant Hills, Plum, Pottstown, Pottsville, Quakertown, Reading, Ridley Park, Scranton, Shamokin, Sharon, St. Marys, State College, Sunbury, Swissvale, Tamaqua, Uniontown, Warren, Washington, Waynesboro, West Chester, West Mifflin, White Oak, Whitehall, Wilkes-Barre, Wilkinsburg, Williamsport, Wilson, Wyomissing, Yeadon, York and all other cities in PA - The Keystone State.